Thanks to ACSD for providing the following updates! Check the Cleveland National Forest websites for details. 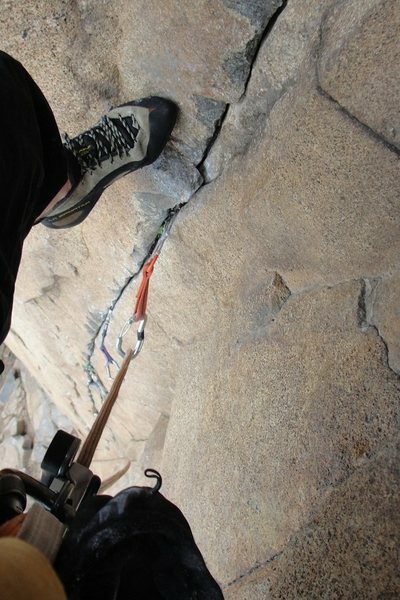 Move upward using the main crack system to a sloping stance on highly textured, orange rock. 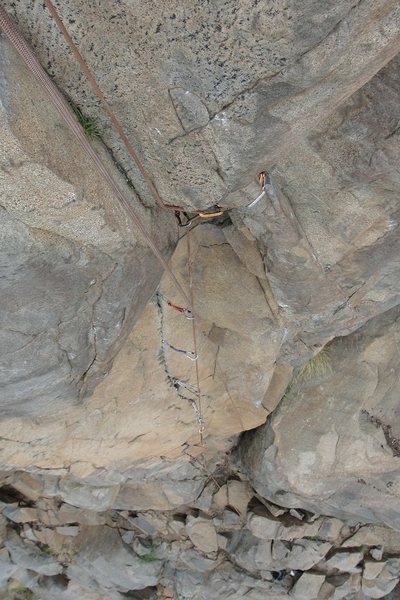 Continue upward through the crux of the climb by stemming up a wide dihedral that is well protected with small gear in a thin crack on the left. Pull over a small roof and continue on easier ground to the anchor. Standard rack. Two bolt anchor. Rap bolts. Oscar Olea leading The Ramp, Mission Gorge. Best crack in MG, IMHO. Sweet and fairly sustained for the grade; protects well on small pieces. 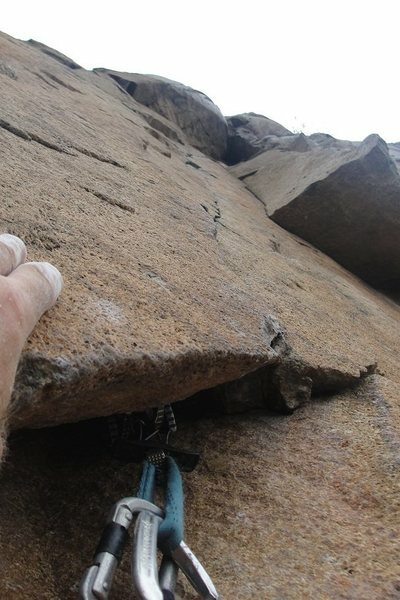 Don't cheat yourself by starting from atop Lunch Rock - take this one right off the ground. Finally led it clean!! WOOHOOO!! looking down from the anchors.